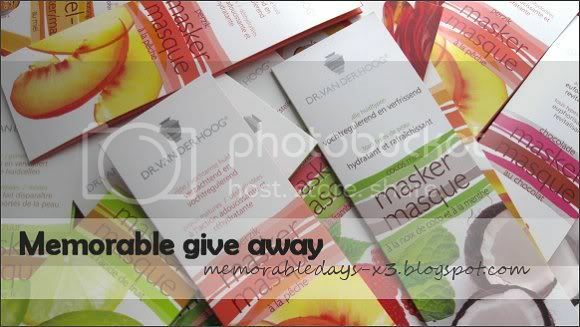 Cream mask give away (CLOSED) | Memorable Days : Beauty Blog - Korean Beauty, European, American Product Reviews. THIS GIVE AWAY IS CLOSED ! I announced it on twitter already that I would have another give away this week. But this time it will be a small one ^^'. 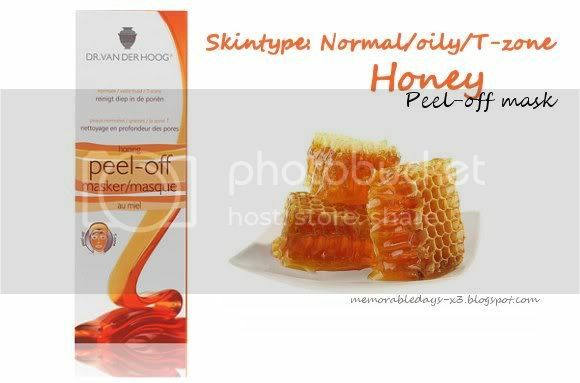 I bought a lot of masks of Dr. Van der hoog; its a Dutch brand and it really has a bunch of great reviews on the internet. Actually I haven't tried it before, but I'm sure that its great^^ And what really took my attention was the chocolate mask! I'm going to give one mask away, and YOU may choose which one you want. 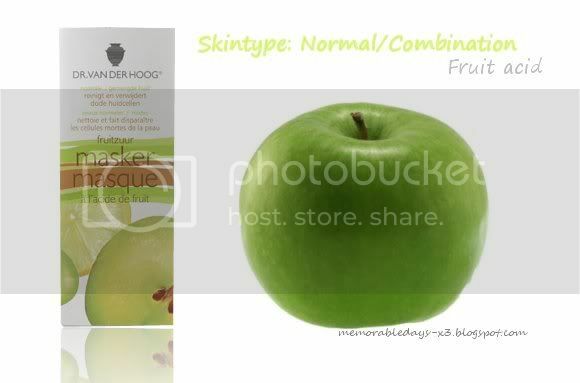 One mask is worth 2.05 euros, which is quite expensive for only one mask and it has 10ml in it. 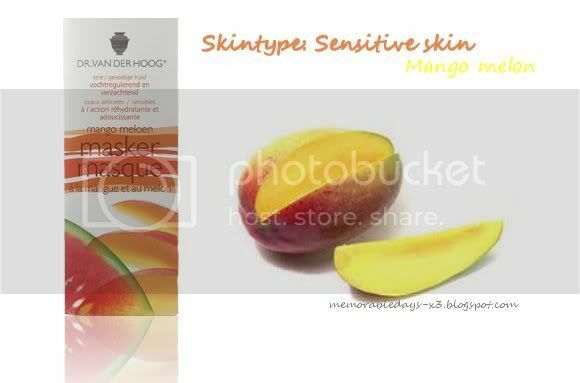 You can choose out one of these cream masks: raspberry, honey (peel-off), fruit acid, coconut mint, chocolate, peach or mango melon. 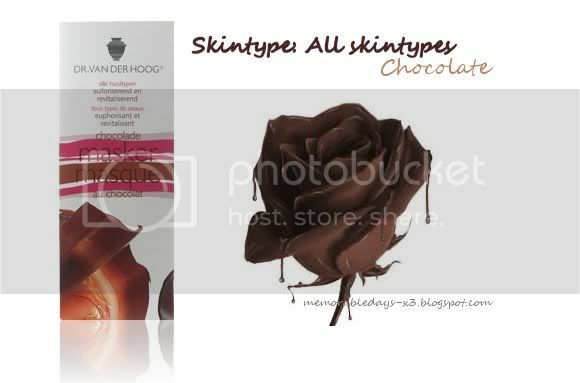 Make sure that you know which skintype you have, because every mask is for a different type of skin :). 1. You must be a follower of my blog through Google Friend Connect, through bloglovin' OR through twitter to enter. 2. Please leave your name and email address in your comment so I can contact you if you are the winner. Open for all countries, this give away will be closed on the 24th of September 2010 23.59 pm. The winner will be picked through random.org. If you have any questions feel free to email me: lil.shy.el@gmail.com or you can write your question in the shoutbox. Which mask do you like? Follower? Yes a proud follower since.... don't know. And I am a follower of your blog!!.. 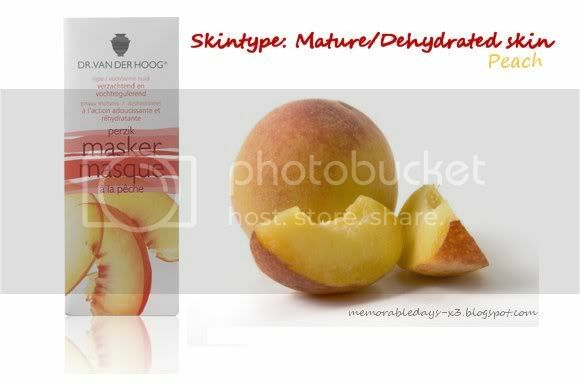 the reason I choose peach cuz I love hydrating masks and I love the smell of peach as well! whoops sorry, abd the face mask i chose is fruit acid. 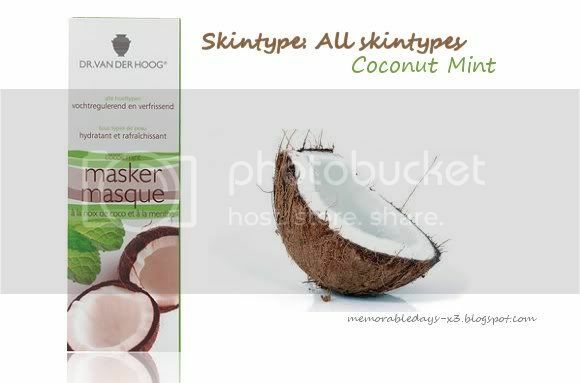 Type of mask: Coconut mint ♥ ! @Thifa, are you following me? Can't really see your name anywhere >.<"
Thanks for that amazing giveaway ! Link to blogpost: i link ya giveaway here! Link to blogpost:Don't have but I followed thru Google. ooppsss I forgot to mention the link where i tweet abt ur giveaway.